Amanhã, sexta-feira dia 28 de Maio, contrariamente ao planeado, a sessão com Maria Teresa Horta e Maria Isabel barreno foi cancelada por motivos alheios à nossa vontade. Aproveitamos para avisar também que a sessão (do Projecto gentileza) de sábado 29 pelas 21:30 prevista para o espaço do Teatro de Bolso do TEUC, terá lugar na Casa da Esquina. Agradecemos a vossa compreensão. em breve noutros locais no Porto, Lisboa e Londres. Lisbon, May 10 – The Lisbon-based curatorial collective Filipa Oliveira + Miguel Amado is presenting “The Unsurpassable Horizon”, a project organized for NO SOUL FOR SALE – A Festival of Independents at Tate Modern, London. This project brings together works by Carla Cruz, Ruth Ewan, Runo Lagomarsino, and Lotte Lindner & Till Steinbrenner. The works on view respond to, comment, and speculate on the potential of the communitarian ideal in contemporary society. 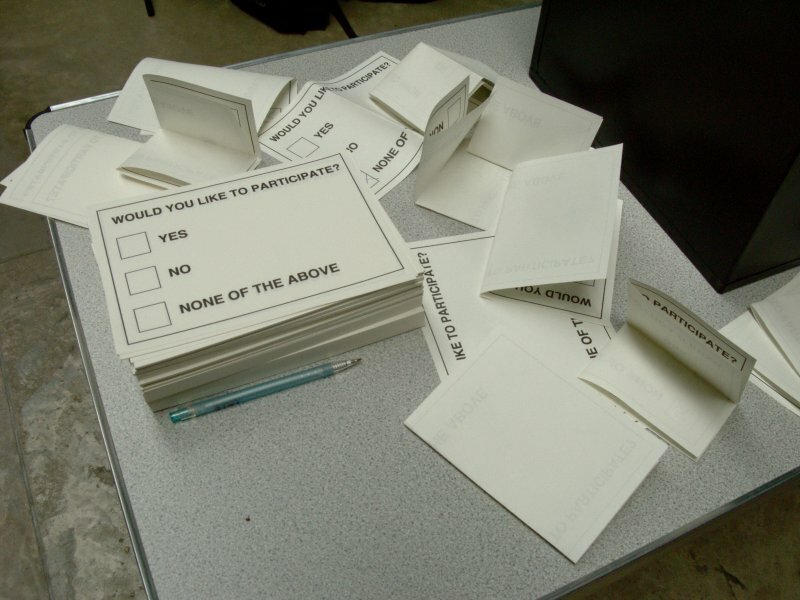 This project thus addresses the social fabric in which both artists and non-profit organizations/curatorial collectives operate, considering consider the public sphere as an arena of individual participation in the collective future. In one of the most acknowledged books by the French philosopher Jean-Luc Nancy, The Inoperable Community (1982), he sets himself the task of redefining community beyond a cultural, economic and political dimension. To be operative, the community needs a substance, a sense of communion, and this is the intellectual framework that shapes “The Unsurpassable Horizon”. These artists deal with community as something that either has been disintegrated or that is in a process of rebuilding. Their practice thus reflects the entropic current state of affairs that Nancy encapsulates with his reference to the contemporary “unsurpassable horizon” of political, economic, and cultural regimes. 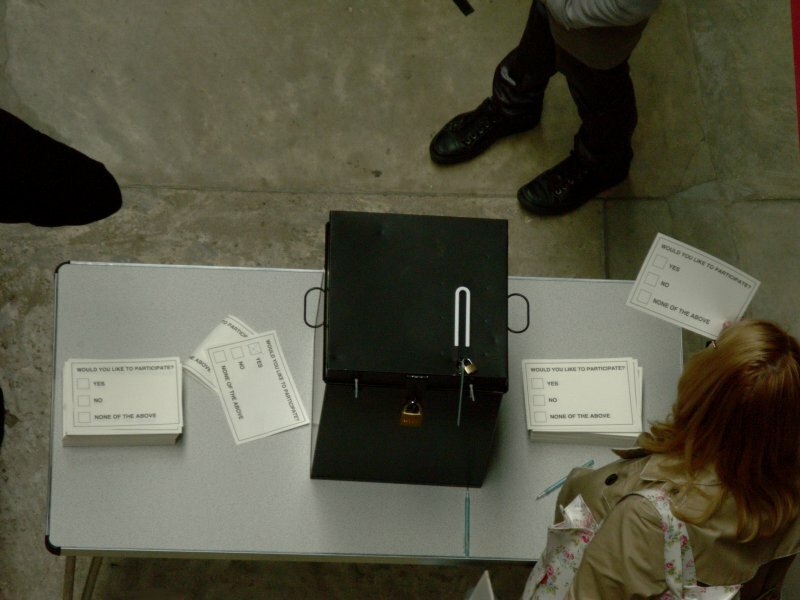 Cruz’s demoCRACY (2010) consists of a typical voting scene: a ballot box and two piles of ballots on each side of it. The ballots have a question addressed to the potential voter: “Would You Like To Participate?” Three possible answers are given: “Yes”; “No”; and “None of The Above”. What is not made clear is on what the viewer would be voting on. 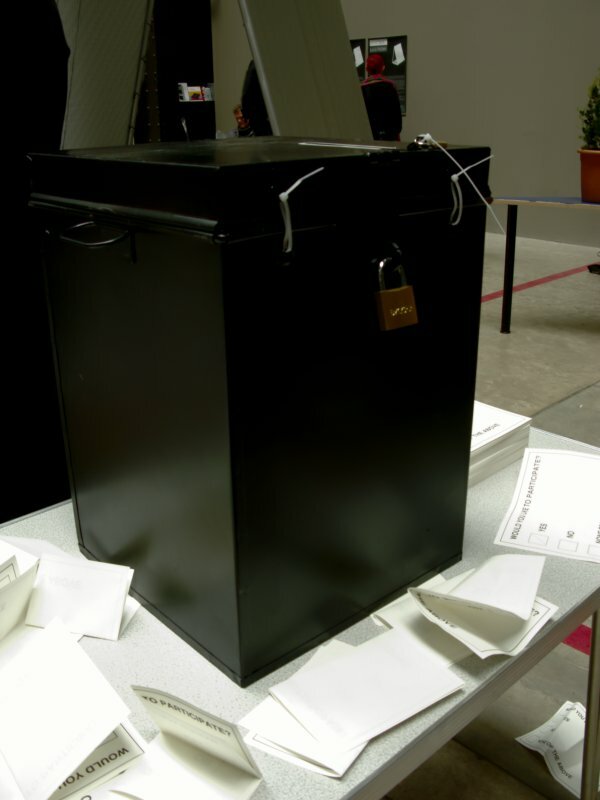 In addition, there are no pens available and the ballot box doesn’t even have a slot where one could insert the ballot. 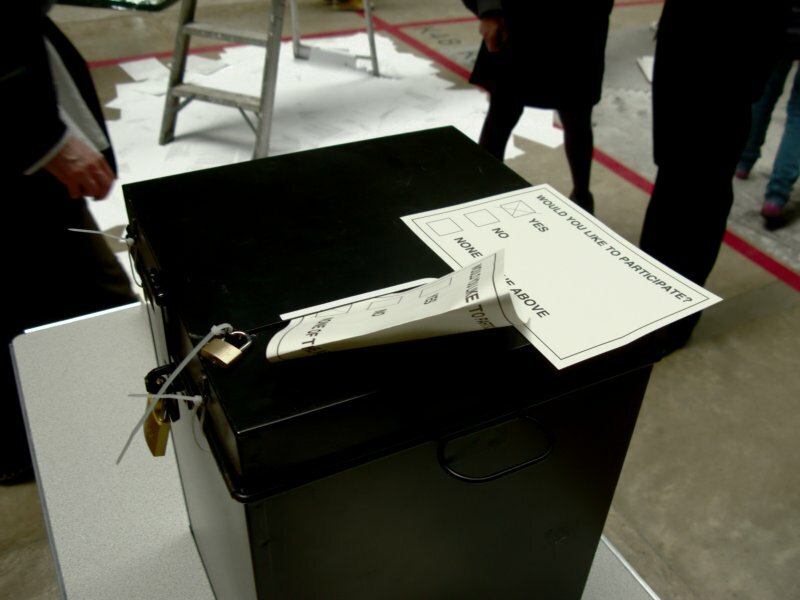 Alluding to the mixed feelings of hopelessness expectation of change through the electoral process, the artist examines issues of civic participation and citizenship in liberal democracies. Ewan presents a series of drawings created between 2006 and 2009 that are available as stickers sold at cost price. These works are informed by a range of sources referencing several British socially radical groups. Among these organizations is The Plebs League, a political association inspired by Marxist ideals founded in 1908 at Ruskin College, Oxford, which attempted to create a brand new educational system, free from capitalist ideology. The drawings were made by young people, aged 12 to 14, as a result of a series of one-to-one workshops done by the artist. In this learning context, she examined how ideas are disseminated and systems of belief are created, thus addressing the ideological dimension of any educational process. Lagomarsino’s Notion of Conflict, Dance of the Piñata (2004) explores the dynamics of oppression and resistance by alluding to an ancient, popular Latin American game – the Piñata – that was used by European colonizers to “Christianize” indigenous populations. In this video, a blindfolded male character attempts to hit a piñata figure shaped as a human body dressed in a military uniform. After finally succeeding it with extreme violence, the image slowly fades to black, leaving the viewer to ponder what happens after. The work reflects the era of colonization as the institutionalization of state violence and the subsequent means of collective opposition and cultural hybridization that accompanied the de-colonization of Latin America. Lindner & Steinbrenner’s Start Spreading the News (2010) consists of a printer connected to the Internet continuously printing on A4 sheets of paper everything that is worth being reported by Thomson Reuters, the world’s leading press agency. This device is located on top of a ladder, so every minute 2/3 sheets of paper will tumble into the ground, each containing absolutely unfiltered news from somewhere in the world. These are words that have no feedback from the audience, allegorically replicating the way most information is circulated on a global scale. Through the poetic image of “falling news” that they created, the artists question the power of the media in the shaping of the current visions of the world. NO SOUL FOR SALE is a festival of independents that brings together the most exciting not-for-profit centers, alternative institutions, artists’ collectives and underground enterprises from around the world. Neither a fair nor an exhibition, NO SOUL FOR SALE is a spontaneous celebration of the individuals and groups that live outside the market and that animate contemporary art. To celebrate Tate Modern's 10th anniversary, the second edition of NO SOUL FOR SALE, organized by Cecilia Alemani, Maurizio Cattelan and Massimiliano Gioni, and produced by Tate Modern, is bringing together 70 of the world's most innovative independent art spaces and teams to take over the Turbine Hall. The festival will fill the iconic space with an eclectic mix of cutting-edge shows and events on 14-16 May 2010. Participants in the second edition of NO SOUL FOR SALE include: 2nd Cannons Publications (Los Angeles), 98weeks research project (Beirut), Alternative Space LOOP (Seoul), Arrow Factory (Beijing), ArtHub Asia (Shanghai/Bangkok/Beijing), Artis - Contemporary Israeli Art Fund (New York/Tel Aviv), Artists Space (New York), Artspeak (Vancouver), Auto Italia South East (London), Ballroom (Marfa), Barbur (Jerusalem), Black Dogs (Leeds), Capacete Entertainment (Rio de Janeiro), casa tres patios (Medellín), Cinématèque de Tanger (Tanger), cneai= (Paris-Chatou), Collective Parasol (Kyoto), Dispatch (New York), e-flux (Berlin), Elodie Royer and Yoann Gourmel - 220 jours (Paris), Embassy (Edinburgh), Filipa Oliveira + Miguel Amado (Lisbon), FLUXspace (Philadelphia), FormContent (London), Galerie im Regierungsviertel / Forgotten Bar Project (Berlin), Green Papaya Art Projects (Manila), Hell Gallery (Melbourne), Hermes und der Pfau (Stuttgart), i-cabin (London), Intoart (London), K48 Kontinuum (New York), Kling & Bang (Reykjavík), L'appartement 22 (Rabat), Latitudes (Barcelona), Le commissariat (Paris), Le Dictateur (Milan), Light Industry (New York), Lucie Fontaine (Milan), lugar a dudas (Cali), Mousse (Milan), Next Visit (Berlin), New Jerseyy (Basel), Not An Alternative (New York), no.w.here (London), Or Gallery (Vancouver), Oregon Painting Society (Portland), Para/Site Art Space (Hong Kong), Peep-Hole (Milan), PiST/// (Istanbul), Post-Museum (Singapore), PSL [Project Space Leeds] (Leeds), Rhizome (New York), Sala-Manca & Mamuta (Jerusalem), Sàn Art (Ho Chi Minh City), Scrawl Collective (London), studio1.1 (London), Swiss Institute / Contemporary Art (New York), The Mountain School of Arts (Los Angeles), The Museum of Everything (London), The Royal Standard (Liverpool), The Suburban (Chicago), The Western Front Society (Vancouver), Thisisnotashop (Dublin), Torpedo - supported by the Office for Contemporary Art Norway (OCA), Tranzit.cz (Prague), Viafarini DOCVA (Milan), Vox Populi (Philadelphia), Western Bridge (Seattle), White Columns (New York) and Y3K (Melbourne). Filipa Oliveira + Miguel Amado is a Lisbon-based curatorial team that started out in 2004 with the programming of different alternative spaces in Lisbon. They have organized series of solo shows by Portuguese emerging artists that have stirred up the city’s traditional art scene. They have been working internationally since 2009, having shifted their focus from conventional exhibition formats to critically engaging, participatory projects informed by the relationships of aesthetics and ethics within artistic practice. "We don't really cherish our artists to the degree we should." 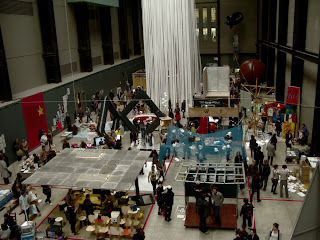 As a grouping of national and international artists, we publicly challenge No Soul For Sale (NSFS) at Tate Modern over the weekend of 14th-16th May 2010. The title No Soul For Sale re-enforces deeply reductive stereotypes about the artist and art production. With its romantic connotations of the soulful artist, who makes art from inner necessity without thought of recompense, No Soul For Sale implies that as artists we should expect to work for free and that it is acceptable to forego the right to be paid for our labour. It has come to our attention that many participants are not being paid by Tate Modern for their efforts. In fact, most are self-funding their activities throughout the weekend. 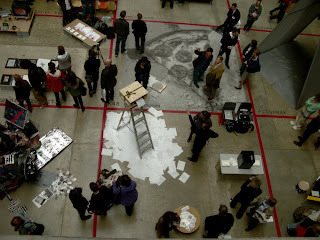 Tate describes this situation as a “spirit of reciprocal generosity between Tate and the contributors”. But at what point does expected generosity become a form of institutional exploitation? Once it becomes endemic within a large publicly funded art space? Reciprocal generosity is the lifeblood of independent art communities throughout the world. This spirit is not however the property of any one institution, artist or curator and it is complacent for Tate to believe that their position is comparable to ground level arts activity. It therefore seems disingenuous for Tate to claim that their hosting of NSFS is somehow altruistic or philanthropic. Tate publicly has the most to gain, yet we have discovered that Tate’s reciprocity does not even extend to the provision of basic resources, such as the use of chairs and tables for some of the participants in NSFS. Tate will commercially benefit from NSFS through increased audiences and the inevitable increase in the sale of books, magazines, merchandise, refreshments, donations and exhibition entry fees. Is the nature of this exchange really occurring on a level playing field? Is the relationship as reciprocal as it could be? As many of us in Making A Living have worked with Tate and other major art galleries, we understand that the expectation of free labour and self -funding is not exclusive to NSFS. During our discussions it has come to light that Tate has not paid artists for some exhibitions, workshops and events, including last year’s Tate Triennial, and that this policy has existed over a considerable period of time, long before the current economic crisis became an issue for arts institutions. We call for an end to this poor practice and manipulation of generosity as Tate Modern celebrates its 10th birthday. We call on Tate to make public its policy in regard to artists’ fees. If artists continue to work for free, or are expected to pay for their efforts when working with our major art institutions, then we deny opportunities to the great majority of artists who simply cannot afford to take such financial risks. Tate and other major publicly funded galleries risk spoiling their good work by unwittingly limiting their pool of future exhibiting artists to individuals who can afford to pay for the privilege, or who are content or able to work for little or no pay. If NSFS manages to start a productive conversation about this 'elephant in the room' then we think it may yet be described as a success. O colectivo curatorial Filipa Oliveira + Miguel Amado apresenta “O Horizonte Insuperável”, um projecto desenvolvido para o evento No Soul for Sale – A Festival of Independents. 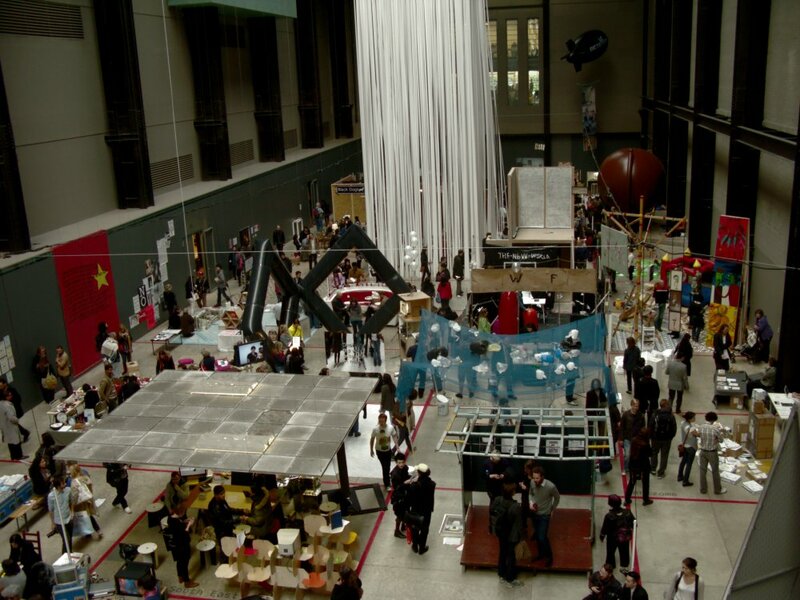 Este evento reúne cerca de 70 dos mais inovadores espaços alternativos e colectivos curatoriais do mundo e realiza-se na Tate Modern, em Londres, no âmbito da comemoração do 10º aniversário desta instituição. Lisboa, 3 de Maio – O colectivo curatorial Filipa Oliveira + Miguel Amado apresenta “O Horizonte Insuperável”, um projecto desenvolvido para o evento No Soul for Sale – A Festival of Independents. 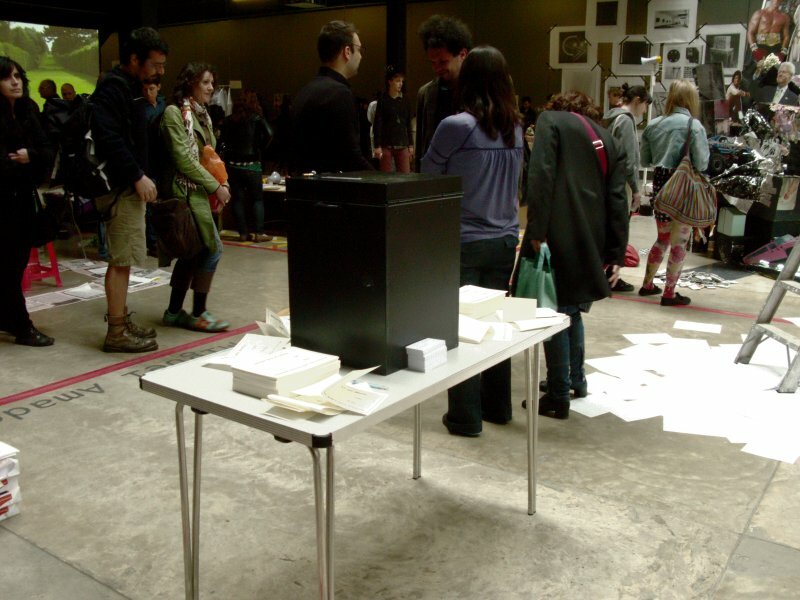 Este evento reúne cerca de 70 dos mais inovadores espaços alternativos e colectivos curatoriais do mundo e realiza-se na Tate Modern, em Londres, no âmbito da comemoração do 10º aniversário desta instituição. Após participações na primeira edição de No Soul for Sale – A Festival of Independents (Nova Iorque, 2009), na Frieze Projects da Frieze Art Fair (Londres, 2009) e na Curators’ Desk da Just Madrid (Madrid, 2010), “O Horizonte Insuperável” é o quarto projecto recentemente organizado por Filipa Oliveira + Miguel Amado em contextos de excelência internacionais. Carla Cruz recria uma mesa de voto; porém, os boletins contém uma pergunta – “Gostaria de participar” – com respostas múltiplas e a urna encontra-se selada, impedindo o gesto democrático. De Ruth Ewans vende-se, a preço de custo, um conjunto de autocolantes com desenhos alusivos a diversos grupos radicais britânicos, incluindo a The Plebs League, inspirada pelo ideário marxista. Aludindo ao popular jogo “pinãta”, o vídeo de Runo Lagomarsino analisa as dinâmicas de opressão e resistência resultantes do colonialismo na América Latina. Lotte Lindner & Till Steinbrenner compõem um dispositivo tecnológico através do qual se imprimem continuamente, em folhas de papel A4, as notícias geradas pela agência noticiosa Thomson Reuters. Amarante Abramovici, Tiago Afonso, André Alves, Filipa Alves, Ana Luísa Amaral, Maria Isabel Barreno, Maria Graciete Besse, Miguel Bonneville, Ana Borges, Mariana Caló, Christina Casnellie, Carla Cruz, CES, Luís Eustáquio, Mónica Faria, Alice Geirinhas, Projecto Gentileza, Risk Hazekamp, Nina Höchtl, Maria Teresa Horta, Rudolfine Lackner, Cláudia Lopes, Marias do Loureiro, Ana Gabriela Macedo, Micaela Maia, Sameiro Oliveira Martins, Cristina Mateus, Vera Mota, Adriana Oliveira, Márcia Oliveira, João Manuel Oliveira, Maria de Lourdes Pintasilgo, Ana Pérez-Quiroga, Rita Rainho, Flávio Rodrigues, Suzanne van Rossenberg, Unknown Sender, Ângelo Ferreira de Sousa, Catarina Carneiro de Sousa, Evelin Stermitz, Paula Tavares, Virgínia Valente, Francesco Ventrella, UMAR, windferreira e as Novas Cartas Portuguesas. 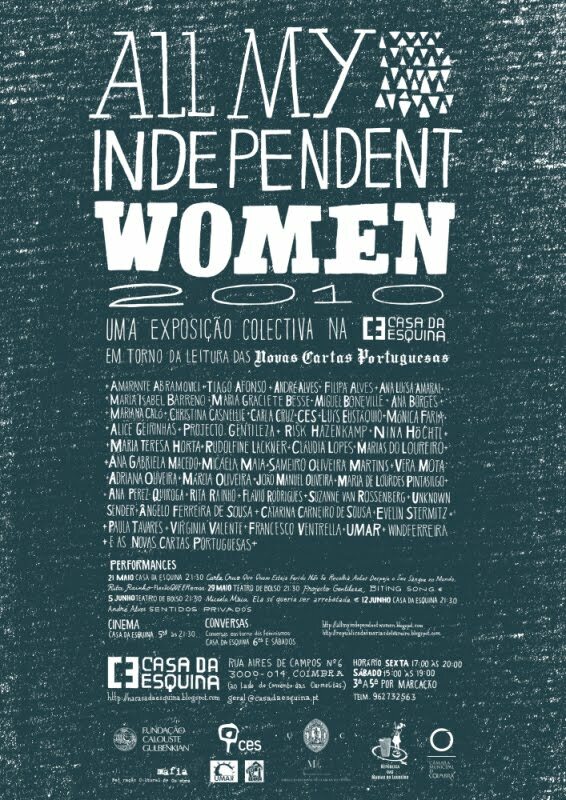 CASA DA ESQUINA apresenta a quinta edição da exposição All My Independent Women, a inaugurar dia 21 de Maio pelas 19H00. Patente até 18 de Junho. Sexta das 17H00 às 20H00, Sábado das 15H00 às 19H00, Terça e Quinta por marcação; na CASA DA ESQUINA, Coimbra. Do encontro, por um lado com a Casa da Esquina e por outro com o livro Novas Cartas Portuguesas de Maria Velho da Costa, Maria Isabel Barreno e Maria Teresa Horta, surgiu a vontade de realizar pela quinta vez o projecto All My Independent Women, projecto artístico que procura problematizar as questões de género. A vontade de voltar a trabalhar com quem recebe o projecto de braços abertos e o nutre como seu, e de reler colectivamente esse livro, marco do feminismo em Portugal levou, assim, à recuperação da experiência colectiva das Cartas; aqui em Coimbra, e com cerca de 40 participantes procura-se a construção de uma nova subjectividade, procura essa que retoma a linha da paixão, paixão que será o próprio objecto e exercício, porque o objecto da paixão é mesmo pretexto, pretexto para nele ou através dele, definirmos, e em que sentido, o nosso diálogo com o resto. O projecto AMIW, mais do que uma mera exposição, é uma plataforma de pensamento feminista que se formaliza irregularmente em diversos pontos do país. A maioria dos projectos realizar-se-ão na Casa da Esquina, mas outros serão “fora de portas” e outros ainda acontecerão no ambiente virtual do Second Life. A exposição terá uma forte vertente internacional com a presença de artistas da Alemanha, Áustria, Itália e dos Países Baixos. 21 de Maio a 18 de Junho 2010. R. Aires de Campos nº 6. HORÁRIO: Sexta: 17H00 às 20H00 // Sábado: 15H00 às 19H00 // Terça a Quinta: por marcação. Fechado à Segunda, Terça e Domingo. Lançamento: CASA DA ESQUINA a 21 de Maio, e GESTO COOPERATIVA CULTURAL, R. Cândido dos Reis, nº 64, Porto 17 de Junho (sujeito a confirmação). Edição de uma publicação editada por Carla Cruz e Virgínia Valente que introduz leituras e relacionamentos possíveis ao projecto AMIW e aos gestos de cada artista/performer/pensadora; cruzando contribuições visuais, cartas do livro Novas Cartas Portuguesas, e também ensaios e provocações escritas especificamente para o evento. Com a re-edição do pré-prefácio e prefácio de 1980 às Cartas, por Maria de Lourdes Pintasilgo. 21 Maio: CASA DA ESQUINA: 21H30 Carla Cruz: Que Quem Esteja Ferido Não Se Recolha, Antes Despeje o Seu Sangue no Mundo. // 22HOO Rita Rainho: Flexão I. QUEERemos. 29 Maio: TEATRO DE BOLSO: 21H30: Projecto Gentileza: Projeccão de Biting Song. O5 Junho: TEATRO DE BOLSO: 21H30: Micaela Maia: Ela só queria ser arrebatada. 12 Junho: TEATRO DE BOLSO: André Alves: 21H30: Sentidos Privados. Durante o período do projecto a CASA DA ESQUINA em colaboração com as associações parceiras, promoverá um ciclo de cinema alusivo ao tema do feminismo como forma de pensar as questões de género não só históricamente mas também nos nossos dias. CASA DA ESQUINA: Sextas e Sábados – conversas em torno dos feminismos. Uma série de encontros, mesas redondas e aulas abertas serão organizadas em colaboração com diversos grupos como a UMAR, o NIGEF, o Núcleo de Estudos de Democracia, Cidadania Multicultural e Participação do Centro de Estudos Sociais da Universidade de Coimbra, o Programa em Estudos Feministas da Faculdade de Letras da Universidade de Coimbra e a CASA DA ESQUINA em colaboração com a artista Carla Cruz, em torno da produção colectiva das Novas Cartas Portuguesas e da sua pertinência no contexto artístico/literário e político português - especificamente no trabalho de carácter feminista - 40 anos depois, das questões de género enquanto relação de poder na política, na sociedade e na cultura. Pretende-se também discutir o feminismo na sua essência e a sua pertinência no mundo actual no combate à discriminação de género. 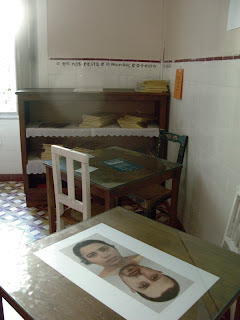 Este projecto de divulgação e promoção de arte de cariz feminista/género foi iniciado em 2005 pela artista Carla Cruz. 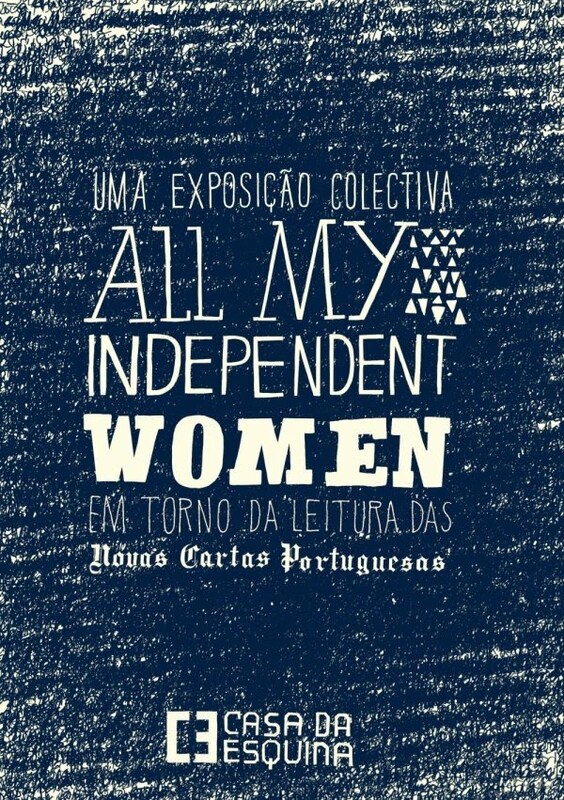 All My Independent Women surgiu do convite de Lígia Araão para expor no espaço SMS – Museu de Arqueologia da Sociedade Martins Sarmento em Guimarães. A proposta foi fazer uma exposição colectiva em torno de obras de artistas que trabalham numa perspectiva feminista ou sobre noções de género, obras que de alguma forma faziam parte do contexto da produção artística da artista. O Dicionário de Crítica Feminista, editado por Ana Gabriela Macedo e de Ana Luísa Amaral serviu de fio condutor da exposição. A exposição foi depois apresentada na livraria 100ª Página em Braga, a convite de Ana Gabriela Macedo para o lançamento do dito Dicionário; no espaço EIRA 33 a convite de João Manuel Oliveira, em Lisboa; e na Casa da Cultura da Trofa a convite de Antónia Serra. A ideia de refazer o projecto All My Independent Women surgiu da releitura do livro Novas Cartas Portuguesas de Maria Isabel Barreno, Maria Teresa Horta e Maria Velho da Costa. Este mítico livro, marco da causa feminista em Portugal, é o ponto de partida para um projecto de novas criações que pretendem discutir a temática feminista tanto nos trabalhos de cada autor, como a perspectiva espacio temporal da história de Novas Cartas Portuguesas. Partindo deste livro e dos acontecimentos que o envolveram, estabelecemos uma reflexão sobre o feminismo em Portugal e a arte feminista, o projecto tomará a forma das propostas das(os) diversas(os) artistas convidadas(os), que passará pelas linguagens visual, performativa, sonora e escrita e acontecerá em vários espaços da CASA DA ESQUINA, espaços públicos e espaços parceiros nas cidades de Coimbra, Porto e até mesmo na realidade virtual da internet, nomeadamente do Second Life. Futuramente o projecto será apresentado em em Viena, Áustria, numa colaboração com a VBKÖ (Associação Austríaca de Mulheres Artistas) a convite de Rudolfine Lackner. CES, CMC, FUNDAÇÃO CALOUSTE GULBENKIAN, GESTO COOPERATIVA CULTURAL, REPÚBLICA MARIAS DO LOUREIRO, TEATRO DE BOLSO, UMAR, UC. Amarante Abramovici, Tiago Afonso, André Alves, Filipa Alves, Ana Luísa Amaral, Maria Isabel Barreno, Maria Graciete Besse, Miguel Bonneville, Ana Borges, Mariana Caló, Christina Casnellie, Carla Cruz, CES, Luís Eustáquio, Mónica Faria, Alice Geirinhas, Projecto Gentileza, Risk Hazekamp, Nina Höchtl, Maria Teresa Horta, Rudolfine Lackner, Cláudia Lopes, Marias do Loureiro, Ana Gabriela Macedo, Micaela Maia, Sameiro Oliveira Martins, Cristina Mateus, Vera Mota, Adriana Oliveira, Márcia Oliveira, João Manuel Oliveira, Maria de Lourdes Pintasilgo, Ana Pérez-Quiroga, Rita Rainho, Flávio Rodrigues, Suzanne van Rossenberg, Unknown Sender, Ângelo Ferreira de Sousa, Catarina Carneiro de Sousa, Evelin Stermitz, Paula Tavares, Virgínia Valente, Francesco Ventrella, UMAR, windferreira an the Novas Cartas Portuguesas. 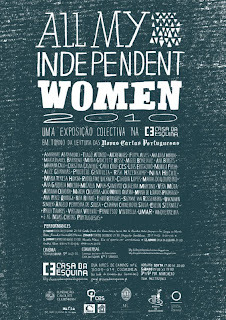 CASA DA ESQUINA present the fifht edition of the project All My Independent Women, opening on the 21st of May at 7pm. Untill the 18th of June. Fridays from 5pm to 8pm, Saturdays from 3pm to 7pm, Tuesdays and Thursdays by appointment only; at CASA DA ESQUINA, Coimbra, Portugal. From the meeting, on the one hand with CASA DA ESQUINA and on the other with the book New Portuguese Letters by, Maria Isabel Barreno, Maria Teresa Horta and Maria Velho da Costa came the desire to present for the fifth time All My Independent Women project, an artistic project that attempts to problematizes gender. The desire to work once again with those who receive the project with open arms and nurture it as their own, and of collectively reread this book – a feminist cornerstone in Portugal – has, therefore, taken us to the recovery of the collective experience of New Portuguese Letters; here in Coimbra, and with about 40 participants we are venturing to build a new subjectivity. The project takes the path of passion, passion that will be its own object and exercise, because the object of passion is just an excuse, an excuse of in or through it, define, and in what way, our dialogue with the rest. AMIW project, is more than an exhibition, it is a platform for feminist thinking that shapes itself irregularly throughout the country. Most of the projects will take place at CASA DA ESQUINA, but others will happen ‘outside’ or, even, in the virtual environment: Second Life. The exhibition will have a strong international participation with artists from Austria, Germany, Italy and The Netherlands. 21st of May untill the 18 of June 2010. SCHEDULE: Friday: 5pm to 8pm // Saturday: 3pm to 7pm // Tuesday and Thursday: by appointment oly. Closed on Monday, Wednesday and Sunday. Launching: 21st of May at CASA DA ESQUINA, and on the 17th of June at GESTO COOPERATIVA CULTURAL, R. Cândido dos Reis, nº 64, Porto. A publication edited by Carla Cruz and Virgínia Valente which introduces possible readings and relationships to the AMIW project and to each artist/performer/thinker’s gestures; crossing visual contributions, letters from the book New Portuguese Letters, and also essays and provocations written specifically for the event. 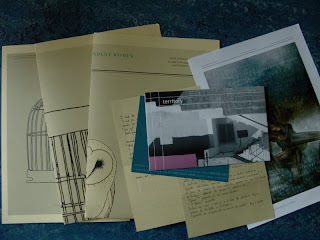 Republishing the 1980’s pre-preface and preface to the Letters, BY Maria de Lourdes Pintasilgo. 21st May: CASA DA ESQUINA: 9.30pm: Carla Cruz: May those who are wounded seek no refuge but shed their blood into the world. // 10pm Rita Rainho: Flection I. QUEERemos. 29th May: CASA DA ESQUINA: 9.30pm: Projecto Gentileza: Screening of Biting Song. 5ft June: TEATRO DE BOLSO: 9.30pm: Micaela Maia: She just wanted to be swept away. 12th June: CASA DA ESQUINA: 9.30pm: André Alves: Private Meanings. During the whole month CASA DA ESQUINA, in collaboration with its partner associations, will promote the screening of films related to feminism as a way of thinking gender issues, not only historically but also in our present day. CASA DA ESQUINA: Friday and Saturday – Around feminisms. 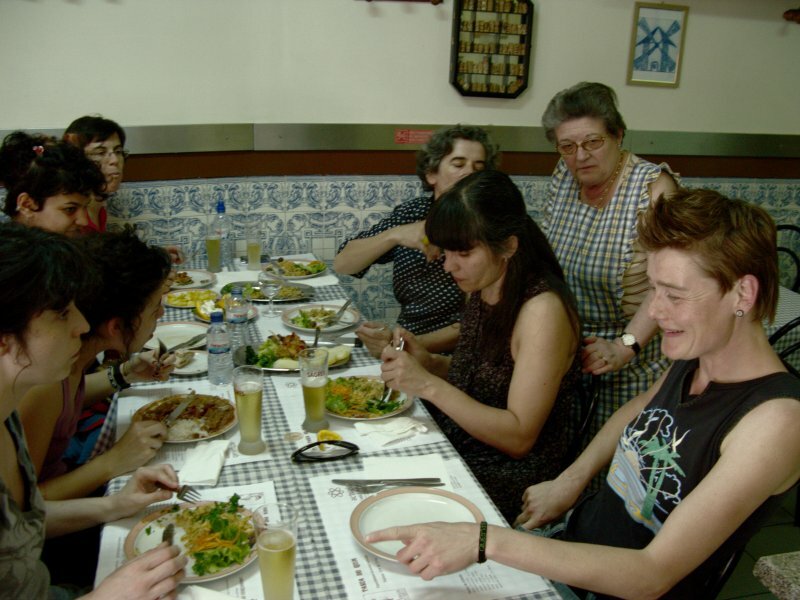 A series of meetings, round tables and open lectures will be organized throughout the month by CASA DA ESQUINA and Carla Cruz, in collaboration with groups such as UMAR, Núcleo de Estudos de Democracia, Cidadania Multicultural e Participação from Centro de Estudos Sociais Coimbra University, the Programa in Estudos Feministas FL. Coimbra, around: the collective writing of New Portuguese Letters and its relevance for the artistic context in Portugal – specially in feminist practices – forty years after being published; gender issues in political power relations, society and culture. We intend to discuss feminism in its core and relevance in today’s struggle against gender discrimination. This artistic project ooted in feminist / gender questions was initiated in 2005 by the artist Carla Cruz. 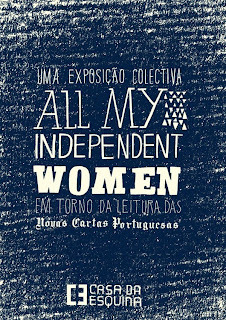 All My Independent Women is the result of an invitation by Lígia Araão to exhibit at SMS - Museum of Archaeology Martins Sarmento Society in Guimarães. The proposal was to make a collective exhibition around the work of artists who work from a feminist perspective or problematizing gender, works, which somehow, were part of the context of artistic production of Cruz. The Dicionário de Crítica Feminista, ed. by Ana Gabriela Macedo and Ana Luísa Amaral served as a leitmotiv of the exhibition. 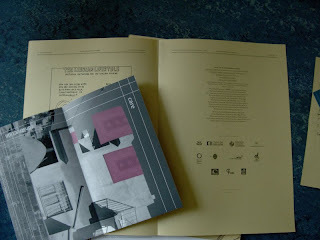 The exhibition was subsequently presented at the bookstore 100ª Página in Braga, at the invitation of Ana Gabriela Macedo for the launch of that Dictionary; at EIRA 33 space at the invitation of João Manuel Oliveira, Lisbon; and at the House of Culture of Trofa at the invitation of Antónia Serra. 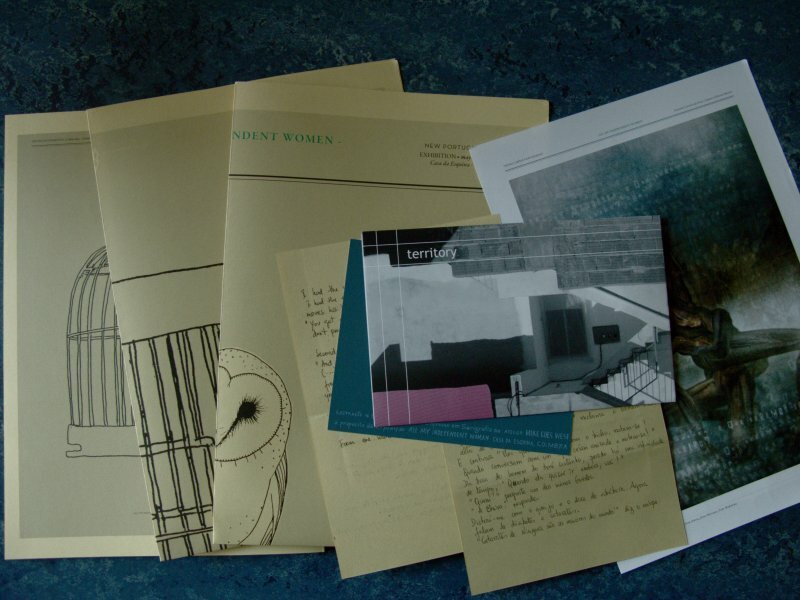 The idea of presenting once again the project All My Independent Women emerged from rereading the book New Portuguese Letters by Maria Isabel Barreno, Maria Teresa Horta and Maria Velho da Costa. 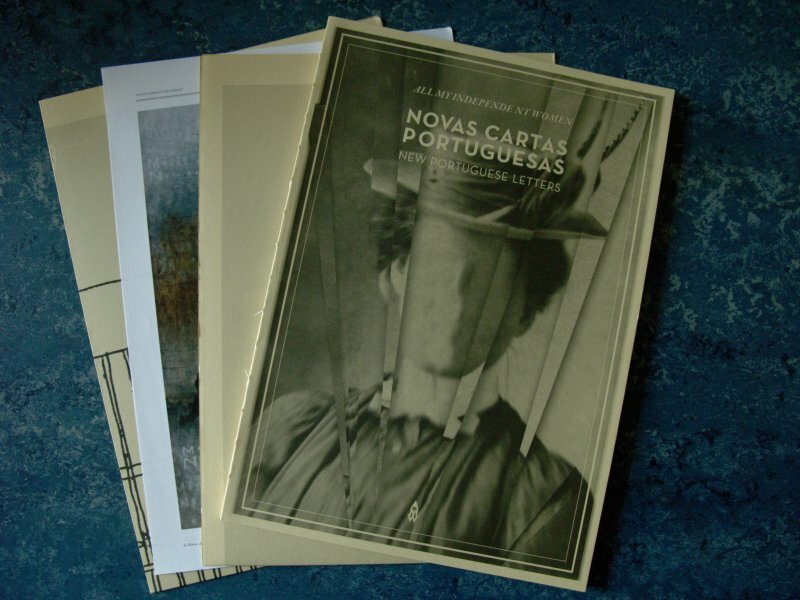 This mythical book, Cornerstone of the feminist cause in Portugal, is the starting point for a project with new works that intend to discuss both feminist themes in the work of each author, as the temporal and spatial perspective on the history of New Portuguese Letters. Departing from this book and the events related to it, we established a debate about feminism and feminist art in Portugal, the project will consist of the proposals of the several artists invited, that will traverse visual and performative languages, audio and writing, and will take place in various spaces of CASA DA ESQUINA, and the spaces of partner association, in the cities of Coimbra, Porto and even in the virtual reality. 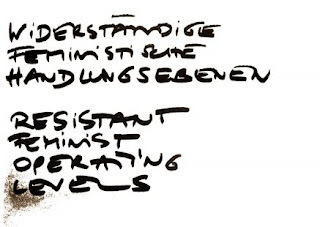 In the future the project will be presented in Vienna, Austria, in collaboration with VBKÖ (Austrian Association of Women Artists) at the invitation of Rudolfine Lackner. Em “À espera”, a mutabilidade não se oferece simplesmente pelo movimento inscrito na imagem videográfica, mas igualmente pela possibilidade concreta de acedermos a uma obra multiforme. Três versões, uma para cada dia de exibição. Mais dias houvesse outras e novas formas tomaria este trabalho. Mas a metamorfose que este vídeo assume nas suas múltiplas versões, não restringe a sua potência de se afirmar. Mais do que uma obra aberta, esta é uma obra em aberto, pois para além de se expandir e actualizar através da sua subjectividade interpretativa, oferece-se igualmente enquanto um efectivo campo de possibilidades. Se, para Umberto Eco, a obra se encontra aberta à fruição do espectador a partir do momento em que se encontra formalmente encerrada, neste trabalho será a própria artista a propor-nos os gestos de actualização sobre a mesma. Assumindo-se enquanto espectadora (in)satisfeita do seu próprio trabalho, Cristina Mateus oferece-nos matéria recombinatória passível de fluir em múltiplas propostas formais. Curso de Artes Plásticas - Pintura da ESBAP. Mestrado em Arte Multimédia da FBAUP. Desde 1986 desenvolve uma intensa e regular actividade artística, tanto individualmente como em colaboração com outros autores. Fundadora da VIROSE (www.virose.pt). Algumas exposições colectivas: 2005 Penthouse – uma ocupação temporária, Rua de Ceuta, 16, Porto. Em fractura — Colisão de territórios, Projecto Terminal, Hangar K7, Fundição de Oeiras, Oeiras. Project wall, Matéria Prima, Porto. 2006 PHOTOESPAÑA 2006, Momentos da vídeo arte portuguesa contemporânea, Conde Duque, Media Lab, Madrid. Teleférico-Cais de Embarque, Teleférico, Guimarães 2007 Paisagem Contemporânea Portuguesa – Riad, Arábia Saudita.Antimonumentos, Galeria António Henriques, Viseu. "Sem rede", Galeria da Universidade, Braga; "Stream", White Box, New York, U.S.A. 2008 “Linha do Horizonte: o motivo da paisagem na arte portuguesa contemporânea”, Caixa Cultural, Rio de Janeiro, Brasil. Alice Geirinhas nasceu em 1964, em Évora. Licenciatura (1984-89) Artes Plásticas-Escultura na Faculdade de Belas Artes de Lisboa. Mestrado em Práticas Artísticas Contemporâneas na Faculdade de Belas Artes do Porto. Curso de cinema de animação da Fundação Calouste Gulbenkian. Premiada em 1990 no Cinanima, Festival Internacional de Cinema de Animação de Espinho com o prémio Jovem Cineasta Português com o filme de animação, Uma História de Amor. Foi professora de ilustração na Fundação Calouste Gulbenkian (1995-1997) e na escola de arte Ar.Co (2000-2005). Foi programadora e coordenadora da área de formação na Bedeteca de Lisboa (2001-2005). Actualmente é professora de Desenho de Design e Multimédia da Faculdade de Ciências e Tecnologias de Coimbra. Como artista tem participado e desenvolvido projectos artísticos desde 1986. Nos anos 90 destacou-se como ilustradora de imprensa, tendo sido publicado Alice que reune a obra gráfica desse período. Actualmente trabalha en projectos dedicados ao desenho e à instalação visual. * Where are your resistant feminist operating levels inside the art world? * What is your subject position drawn from your own practice? * How / Do you position yourself as anti-racist feminist? 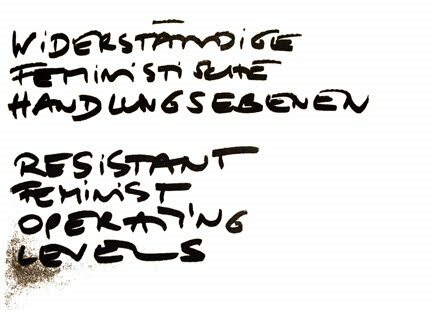 * How / Do you work with / against capitalist structures / dynamics? On the occasion of the centennial anniversary, a program for the year will be presented, which is composed of theoretical activities and a growing annual exhibition. Currently, works by Amanda Amaan/Rudolfine Lackner, Elke Auer/Esther Straganz, Linda Bilda, Lina Dokuzovic and the Drogerie are on display. All of the activities refer to the historical origin of the VBKÖ in the androcentric totalities of institutions and to current links of resistance predominantly imprinted by feminism.